A villain uses drugged flour to kidnap Archie and Veronica. Issue #57 isn't in the trade. Life with Archie has apparently been scanned, but I can't find it at any of my regular sources. I'll keep an eye out. Okay I found it. The two panels in that link are the entirety of the scene. 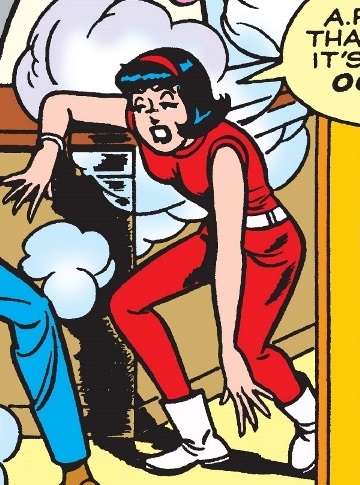 The next time we see Veronica, she's awake on the ground and talking to Archie and Reggie.